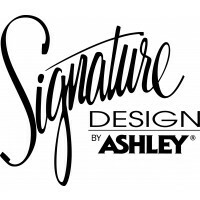 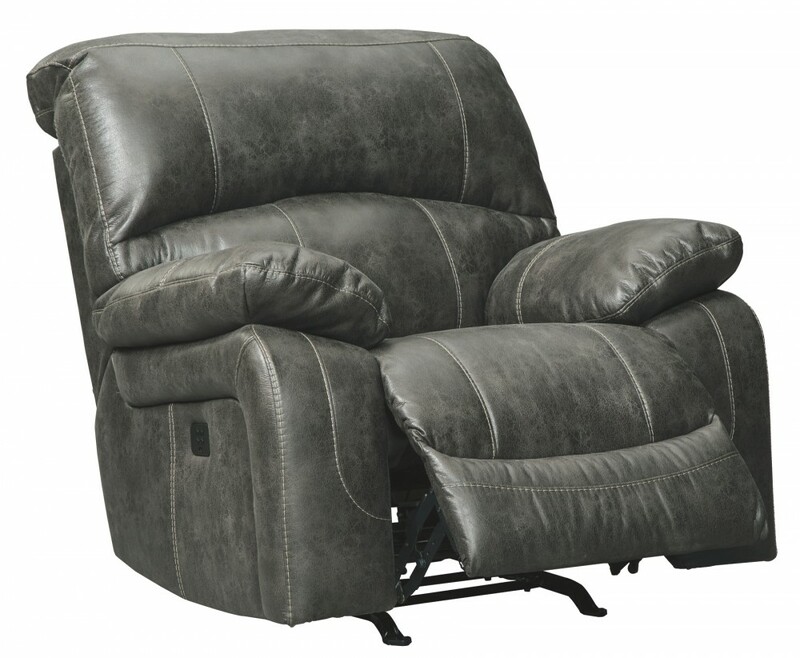 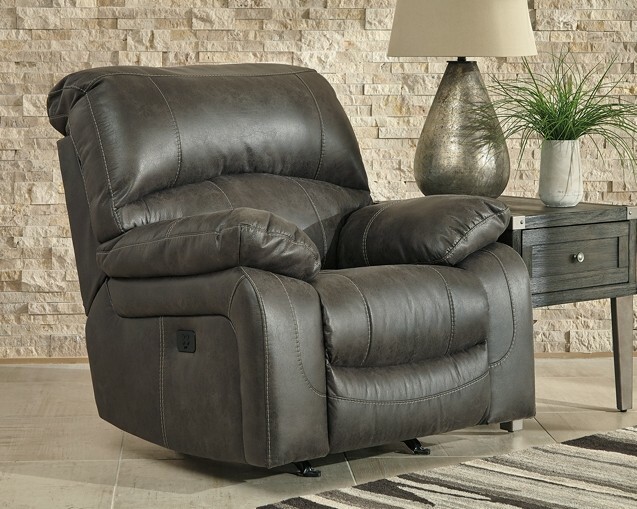 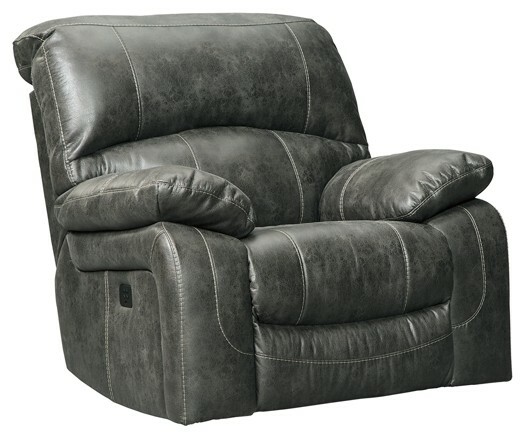 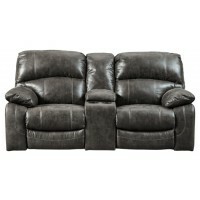 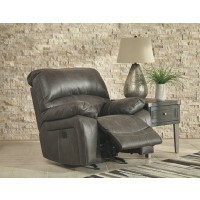 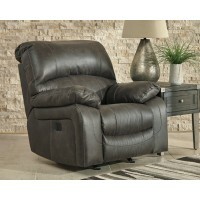 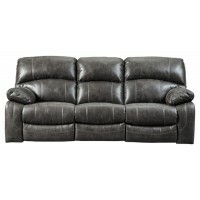 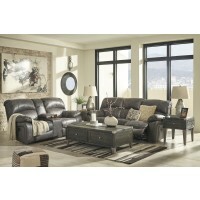 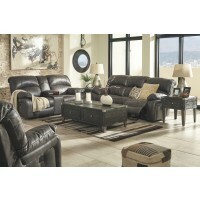 There is power in beauty with this power rocker recliner. 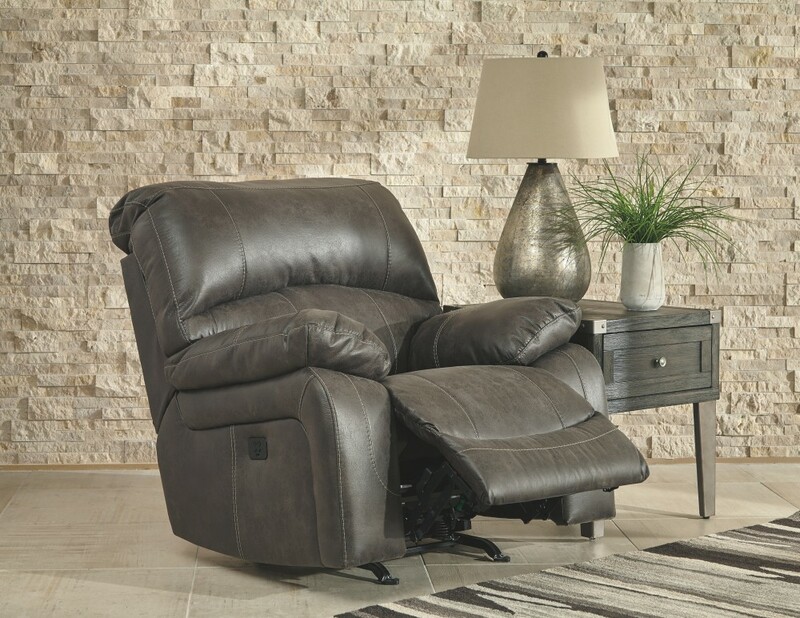 Handsome crackle effect in the upholstery give the appearance of supple leather but this recliner is all about the warmth of fabric. 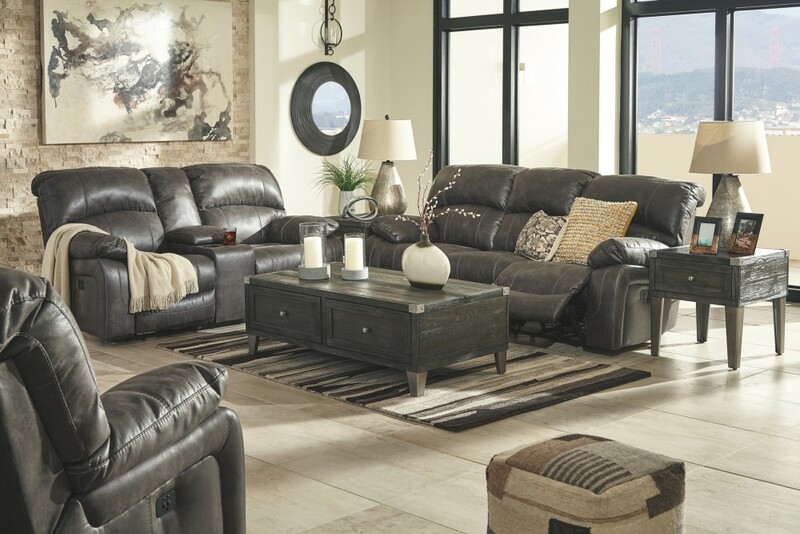 Contrast jumbo stitching adds a stylish touch. 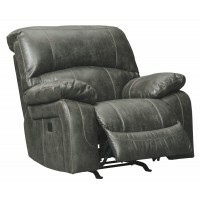 Double stuffed armrests cuff your body in comfort. 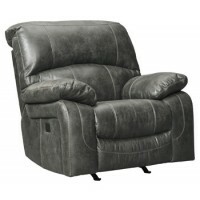 Adjust your head and recline back with one easy touch.